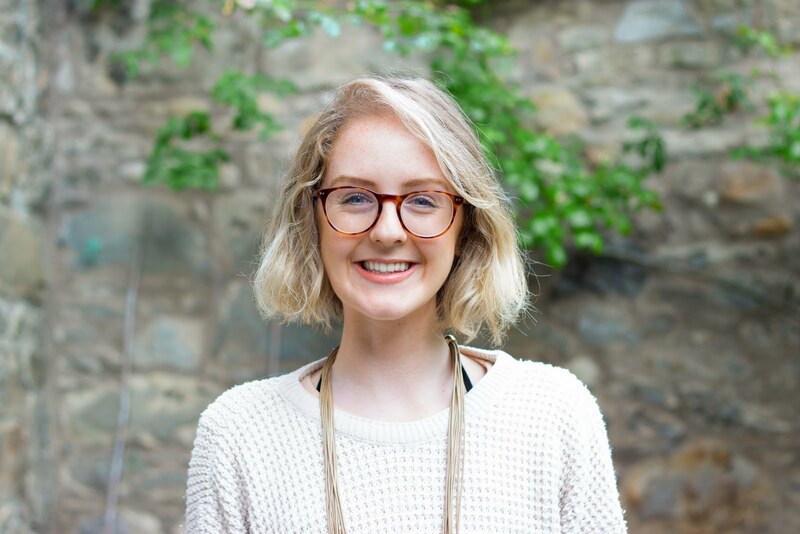 Following on from last week's post on where to find the best vegan food in Edinburgh, I come to you today with the best things to do in Edinburgh! That is, the best things to do that aren't just going for food in lots of different places. Like almost all galleries and museums in Scotland, these are more free attractions. I prefer the art in the national gallery, but the landscaping at the modern art one, and the portrait gallery is very central so really all are worth a visit. Plus, if you decide the current exhibition isn't up your street, you haven't lost out as it's free - and they do have a nice café. Exhibitions are constantly changing, so check online to see what's going on for your dates. There are loads, check them out, almost all of them are free because #culture. I love an open-top bus tour, not just for discovering a new place but also for learning about places you already know like the back of your hand. The tour guides have all sorts of lesser-known stories and anecdotes to share about different parts of the city, and it's a great way to get your bearings too. This is especially nice on a sunny day, so maybe save it until the weather is slightly above its current freezing levels. Head here for a brilliant view of the city, and bring your camera. Slap bang in the centre of town, the location could hardly be more convenient. There's a great clear line of sight straight to the castle (providing it's also a clear day) and you can see down into Princes Street Gardens and over into the new town as well. I find myself recommending this hidden gem to people all the time, because it really is a treasure trove. If you want to wander round in a veritable maze of clothes from very vintage all the way through to high-street modern, this is the place to go. Farmers' markets, all over the place! Stockbridge market from 10am to 5pm on a Sunday is without a doubt my favourite, but there are markets in all nooks and crannies of the city. The Leith market is also great and has an entirely vegan market by the name of the Leith Vegan Quarter on the first Saturday of every month. Have a search and you'll find more farmers' markets than you could possibly want. The best time to see Edinburgh's comedy scene is definitely throughout August when the Edinburgh Festival Fringe is on, but the comedy clubs don't just disappear when September arrives. There are plenty of guides online for which are the best comedy clubs and live music venues, but you're as well to wander round and pop into pubs and bars and just see what takes your fancy. There are lots of different routes up and down Edinburgh's famous extinct volcano (or is it just dormant?... ), but regardless of which one you take, you'll be able to enjoy a breathtaking view from the top. On a clear day, it's beautiful, and on a foggy one it's atmospheric. Picnic with a view? Quelle surprise, another hill right in the centre of Edinburgh. Prepare to be bamboozled by how up and down this city is - no Boris bikes here... If you can't be bothered with Arthur's Seat, then Calton Hill is a great alternative. 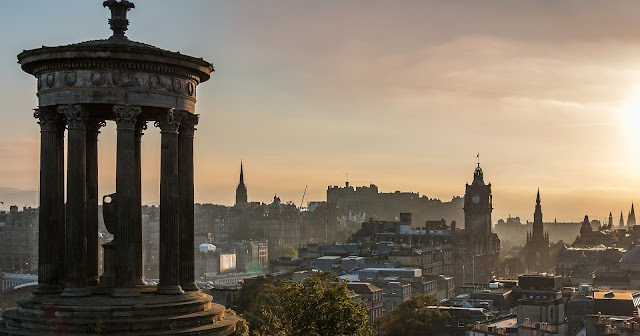 It's nowhere near as big but still benefits from amazing views of the city, and you might not know that the impressive columns on the top are actually the National Monument of Scotland, inspired by Athens' Pantheon. When I was little someone told me the plan was to build a whole enormous building but they only got as far as the columns at one end, and I'm still not completely sure whether it's folklore or truth. I've never done a ghost tour because I'm the jumpiest person on the planet and it would not be a particularly enjoyable time. If, however, you are not at risk of leaping three feet into the air at the slightest sign of anything ~spooky~, then you'll probably really enjoy the ghost tours. Mary King's Close is (I think) the most popular, and people rave about the Edinburgh Dungeons too. I'll take their word for it. This is one if you're feeling flush, as tickets aren't cheap but the history is fantastic. If you go around one o'clock, you'll hear the firing of the one o'clock gun - it can be heard around the city and still gets me every time, even after all these years. Did I mention jumpy? Among a whole load of other things, you can also see Mons Meg, a cannon built in 1449 as a gift to King James II, and one of my earliest memories of the castle. I! Have! Never! Been! To! Camera! Obscura!!! It's meant to be really cool, I don't know why I still haven't been, you add it to your list and I'll add it to mine. It's next to the castle which is convenient, but it's also quite expensive so doing them both is quite a lot. I feel like I went to Dynamic Earth aaallllllllll the time when I was little. In reality, I probably went about four times (Madre, pls confirm), but it was amazing every time. Anyone else remember sticking their fingers in that gigantic ice block? The huge hall that was genuinely an indoor rainforest, complete with rain and noises? The shoogly volcano-simulating platform that terrified me because every single time I thought something had gone wrong and it was turning into a real volcano? I haven't been back since I was tiny so it's probably very different now and potentially less awe-inspiring, but when you're only three feet tall and entranced by just about anything, it's incredible. If you have children, go here. If you're interested in the planet, go here. If you have time to kill, go here. If you're a small child, you probably can't read but anyway go here. What do you think the best things are to do in Edinburgh? Have you been a tourist, or are you a local? I'd love to hear what other hidden gems people enjoy here! He'll need a Landrover to get to the top, though. Edinburgh is one of my favorite places to visit in 2019.